A formidable consortium of partners has come together to lead an innovative community energy initiative, in Nottingham, which could become a model for providing low-carbon energy solutions at residential developments across the UK. The project, which involves groundbreaking research, technology and installation, is being supported by £6m of grant funding from Innovate UK via two energy programmes – the Energy Research Accelerator (ERA) and Project SCENe (Sustainable Community Energy Networks). 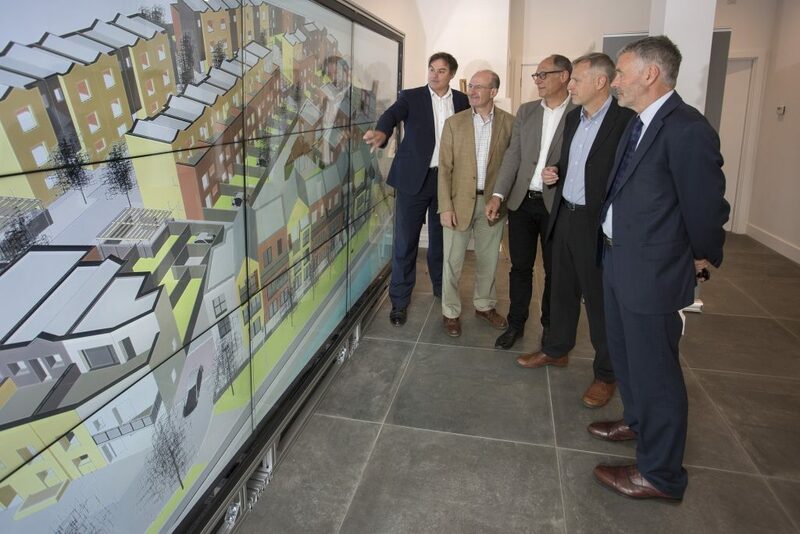 The consortium of partners delivering the scheme, include the developers Blueprint, the University of Nottingham, AT Kearney, Smartklub, Siemens, URBED, Slam Jam, Sticky World, Loughborough University, Solar Ready and supported by Nottingham City Council. Gordon Waddington, Chief Executive of the Energy Research Accelerator (ERA), said: “One of the great issues of our time is to try and make enough clean energy quickly and cheaply. This is a global issue, and perhaps the greatest technical challenge we face. The aim of ERA is to bring together expertise to demonstrate what can be done through thinking and working innovatively and collaboratively. 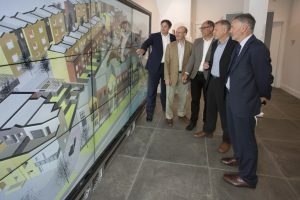 The Community Energy project is being developed by industry and an academic team headed up by Professor Mark Gillott, Professor of Sustainable Building Design, Faculty of Engineering, at the University of Nottingham. With over 20 years’ experience in low carbon, sustainable energy technologies and building design, Professor Gillott is leading the University of Nottingham’s research programme at the Trent Basin, including the ERA demonstrator and Project SCENe. He commented: “This home-grown smart technology will have a huge impact on the UK’s energy sector for decades to come and home owners will feel the benefits in their pockets with cheaper energy bills. Our aim is to make it commercially viable which will increase the take up of the technology and revolutionise the energy sector. “The distribution system will be connected to the grid and, in addition to drawing renewable energy from community sources, will be able to buy power from the grid when it has surplus and redistribute to meet demand. There is a need to find ways to store energy typically at night when demand is slack, smoothing out the peaks and troughs of supply and demand. Residents that opt into the scheme will have photovoltaic panels installed on their roofs, and be provided with smart meters and voice controlled speakers for access to live data on energy created, stored and consumed. An urban solar panel farm will also be installed on the areas of the site yet to be developed and as houses are built, panels transferred to each home. Trent Basin is a £100 million residential development which is part of the 250-acre Waterside Regeneration area in Nottingham. 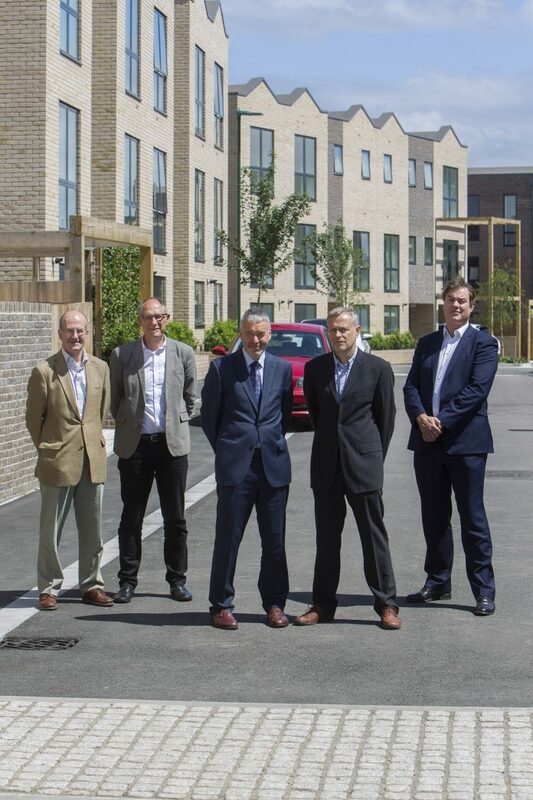 Phase One, completed at the end of 2016, comprises 45 low energy homes including eight apartments. Just 4 homes now remain for sale and construction on Phase Two will start later this year.